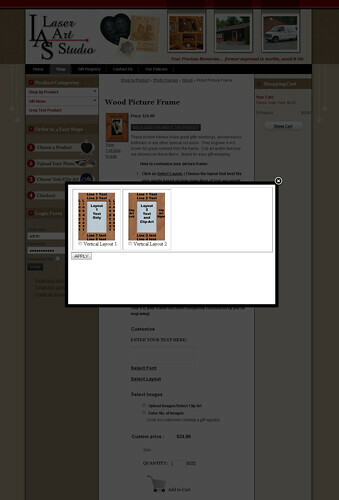 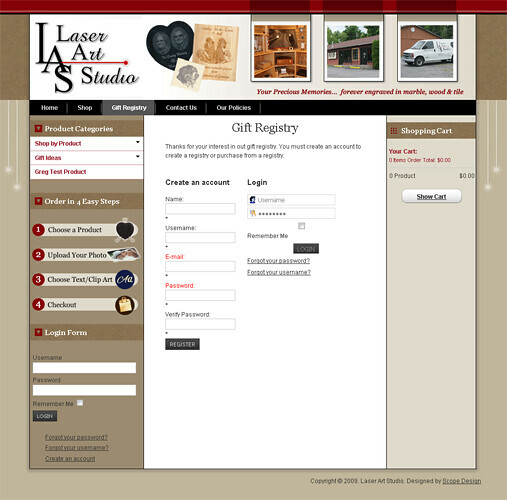 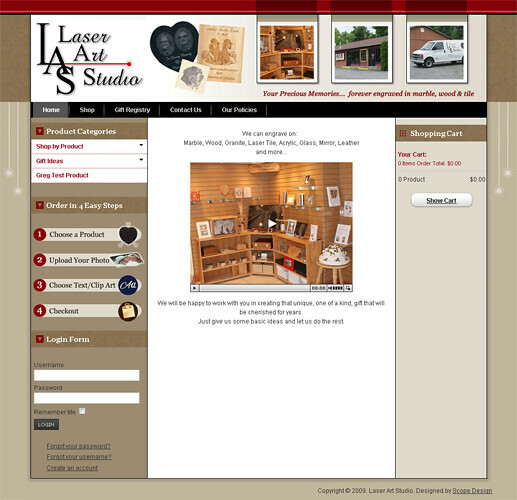 A recent web project designed to provide a way for clients to create a custom engraved piece directly from the website. 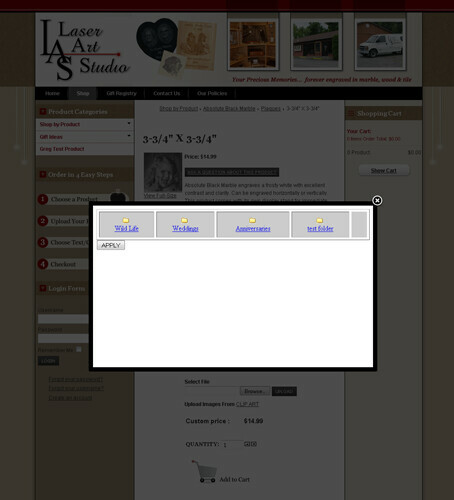 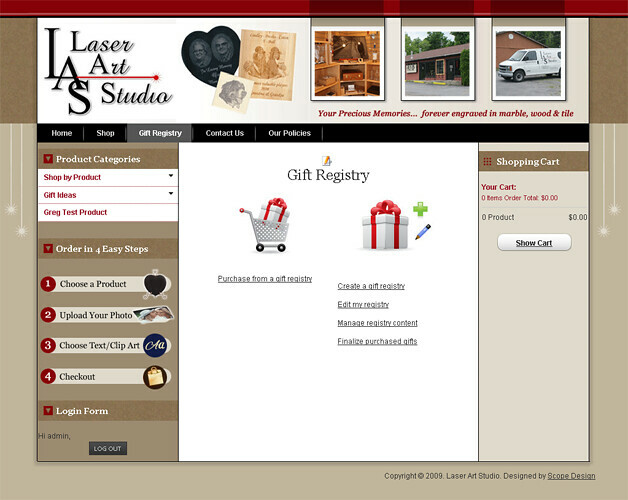 The site will give Laser Art Studio a greater market share and audience. 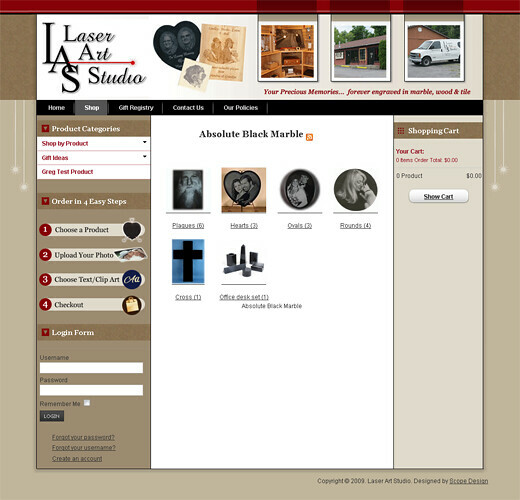 portfolio_tags: Branding, Ecommerce, Web Design, and Website Design.